Nectar is bred from 5 generations of cows classified EX, his dam Nellie 49 has a 4 lactation average of 8154kg milk, 4.66 BF, 3.58 protein and a calving interval of 353 days. 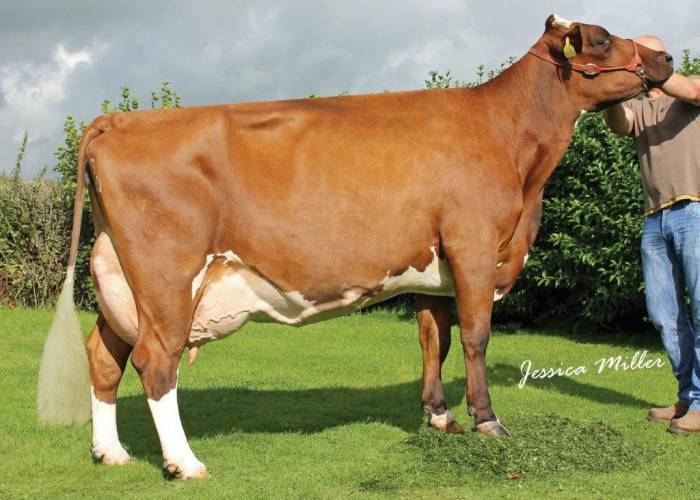 Nectar is sired by the exciting sire Gwynogg Primetime who is due to recieve his first proof in August 18.. He has predictions of a great PLI combined with type and production. Nectar is a great all round sire to use in your breeding program, combing great type, fertility and production all in one package.